During your next night (or day) out, consider these epic destinations as the perfect hangout whilst admiring Miami’s stunning skyline views. There’s a whole section focusing on Miami here on The Rooftop Guide, but that’s not all of the really hot rooftop bars that the beach city has to offer. 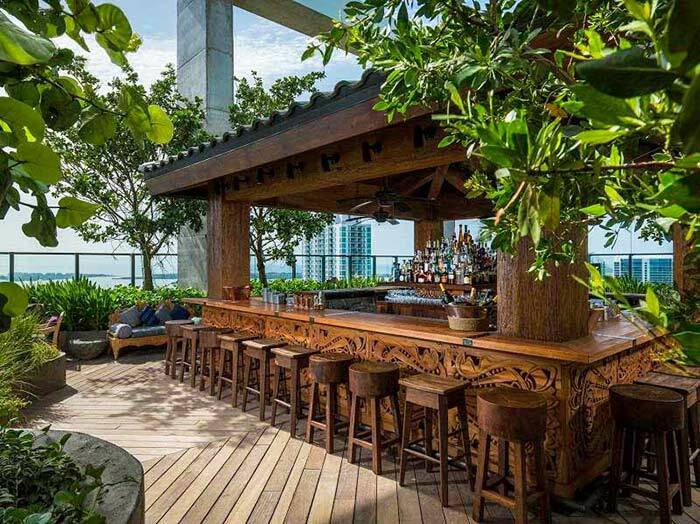 There are a ton of epic rooftop bars in Miami, not to mention the new ones that open every year. As its name implies, The Bar at LVL 25 is situated on the 25th floor of the luxurious Conrad Hotel. It’s an unknown gem as described by The Coolist, so if you want to steer clear of the crowd and just chill with some family or friends then this is the place to be. Happy hour starts at 4PM all the way ‘til 7PM. It also faces east towards Biscayne Bay, which means that you can catch a great view of the sunrise; that’s if you can stay up that long after all the cocktails. 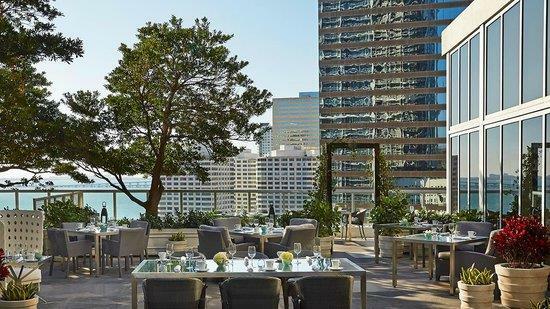 DECK Sixteen gives guests the chance to appreciate the Miami skyline. Although it’s lower than most rooftop bars being perched on the third floor rooftop deck of the Hyatt Centric, the ambience and menu more than make up for the lost altitude. Miami.com highlighted some of the awesome snacks and drinks served in the bar, as well as the bartenders who are always ready to give some nice and friendly advice on the best drinks and food at DECK Sixteen. Happy hour runs daily from 5PM to 8PM. Sugar is one of the youngest rooftop bars in town, which opened in May of last year in the EAST, Miami hotel on Brickell City Centre. Nevertheless, it’s quickly gaining its own following; thanks to its unique atmosphere and its indoor garden type design. 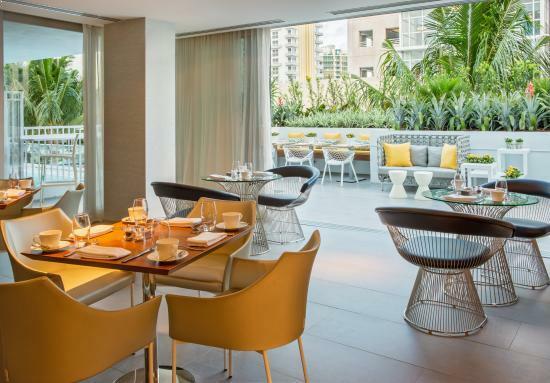 Located on the 40th level, you’ll get clear views of Miami Beach and Key Biscayne. If you need your fill of Asian food and drinks, Sugar’s Oriental selections will not disappoint. Another hangout hotspot along Brickell Avenue, is 15th and Vine Kitchen and Bar which sits 15 stories up atop W Miami which also houses the Fifty rooftop bar. The views from 15th and Vine Kitchen and Bar are awesome courtesy of the 300-foot infinity pool which is the largest in South Florida, as specified by CBS Miami. There’s also two fireplace table tops run by the kitchen crew which serves a diverse menu which includes Latin, Asian, Italian and Spanish dishes. Being relatively close to the equator, Miami gets to enjoy a nice climate all year round, and according to a post by Discover Homes Miami, it’s one of the top reasons why tourists are flocking to the city year after year. Lots of vacationers travel down to Miami from northern states as well as other countries to escape the harsh winter. But of course, aside from dipping in the warm waters, another epic way to beat the cold is to enjoy Miami’s stunning ocean views, especially during sunrise or sunset, whilst sipping a cocktail drink. And of course, there’s only one kind of place where you could experience it best – rooftop bars.